"To help everyone discover and shine in the performance arts." "We aim to consistently deliver the best resources and equipment in these arts by remaining a leader in areas of research, development, production, distribution, community, education and support services." Quite simply, our driving goal is to truly reflect our name, and BE the HOME of Poi and related twirling and spinning arts. Home of Poi (HoP) is a Community before it is a company. The Community forum is what makes HoP unique and different, and as such we "report to" our customers and they determine our actions. The website forum is member policed, and member safety is paramount. To keep the desired feeling intact, no advertising is allowed on the forum - including advertising by HoP the company. HoP (the company) feels responsible to make available the products desired by the members at the price and quality they need and deserve. ... and we will expand the base of the arts so as many people as possible can benefit from them. Home of Poi management is responsible to the employees (and to NZ Law) to act in an ethical and fair manner to all. To work for Home of Poi Ltd will feel like being a member of a happy and caring family rather than being an employee. Performance feedback, wages reviews and reviews of other benefits will be continually checked and benchmarked by management to ensure employee satisfaction. Management will endeavor to stay ahead of the minimum legal requirements in all aspects of corporate responsibility, and will actively promote a good work-life balance for employees. We are all sharing the limited resources of this "spaceship earth" and we recognise our responsibilities to preserve and protect the environment from our actions. We will build "eco-friendly" into our Standard Operating Procedures and our every action. We will endeavor to be "carbon neutral" or even "carbon positive" in our operational impact on greenhouse gasses. We will recycle aggressively and actively minimise our landfill waste to bio-degradable material only. We will similarly educate our customers in this regard. This web site was started 26th October 1998 by Malcolm Crawshay. He is proud to have begun one of the first educational poi swinging resources on the internet. From only two products to sell and a single computer he grew the company. Today the Home of Poi web site receives over 25,000 visitors and ships over 2,000 items per week throughout the world. We are proud that our customers consistently rate us above others in all these areas, but we will never "rest on our laurels" as the target is always moving and we will always try to do better. The site uses easy page navigation and features free online lessons to help you get started quickly and saving you time. As well as many video and book resources found within the online shop. And we also have an extensive global Wholesale and Distribution network offering excellent opportunities for retailers (see: Wholesale enquiries). But one of our main strengths is our huge moderated community of other enthusiasts who are always online to help you with new moves and advice or help. Great for making new friends and finding others in your local area to practice with. We are proud that this community of enthusiasts and customers continue to be like a huge global family to us and provide us the support and feedback to help us serve their needs. We will always act to preserve the safety, security and wellbeing of the community members. To provide your answers quickly a specially indexed search engine is resident on the site at the top of each page. The whole site uses Zlib compression to decrease download times for all users and runs on a dedicated IBM server connected to a 100MB/second backbone connection. All supported with UPS Power & Diesel Generator Backup. With over 12 years of industry service-focused experience, Home of Poi continues to innovate and enrich the users experience by building on a solid foundation of clean, effective and efficient operating procedures. 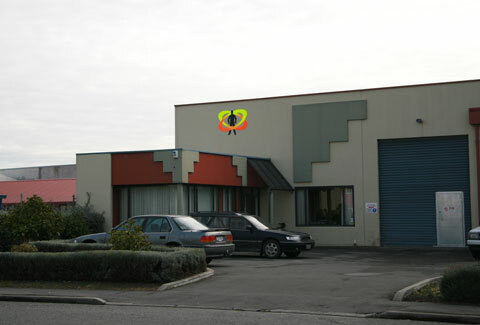 Home of Poi is also an internet/mail order business and as such does not operate a "retail store", but visitors are welcome to visit our international distribution centre and offices (or take a virtual tour now! ).